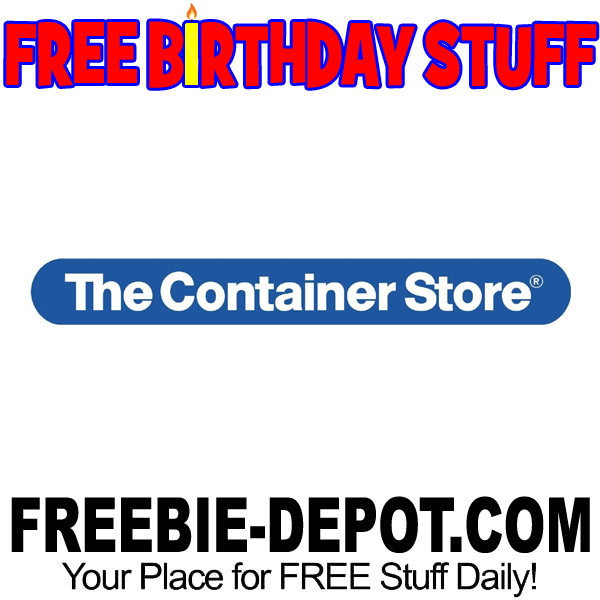 The Container Store is one of few that will give you a FREE Birthday Gift as opposed to a coupon or discount. Not that a discount is a bad thing. POP! Once you sign up and become a POP! Star they will send you an email to print out and redeem in a store to get a FREE Birthday Gift! They will send you the email during your birthday month. You must visit a participating retail location within 30 days of your birthday to redeem. In the past it was a FREE Sticky note pad. If anyone else has received a FREE Birthday Gift let us know in the comments below. FREE Birthday Gift item subject to change.